The term “active learning” is certainly not a new one. It has become increasingly common amongst college classrooms in recent years. The result has been a tremendous amount of research on the topic. Numerous studies have supported the benefits of active learning in regard to its impact on teaching and student learning. Researchers and faculty have interpreted it in various ways. Michael Prince explains, “Active learning is generally defined as any instructional method that engages students in the learning process. In short, active learning requires students to do meaningful learning activities and think about what they are doing” (Prince, 2004). Prince’s definition is drawn from foundational work done by Bonwell and Eison (Bonwell, 2000 and Eison, 2010) and has been widely accepted. 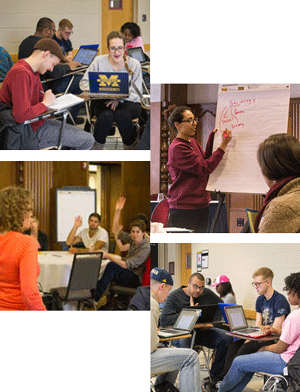 Instructors sometimes ask how active learning is related to “engaged learning.” At the University of Michigan, engaged learning is defined as the education experiences in which “students have opportunities to practice in unscripted, authentic settings, where stakeholders (including the students themselves) are invested in the outcome.” For more information about engaged learning at U-M, visit Engaged Learning at Michigan. What Does Active Learning Look Like in the Classroom? 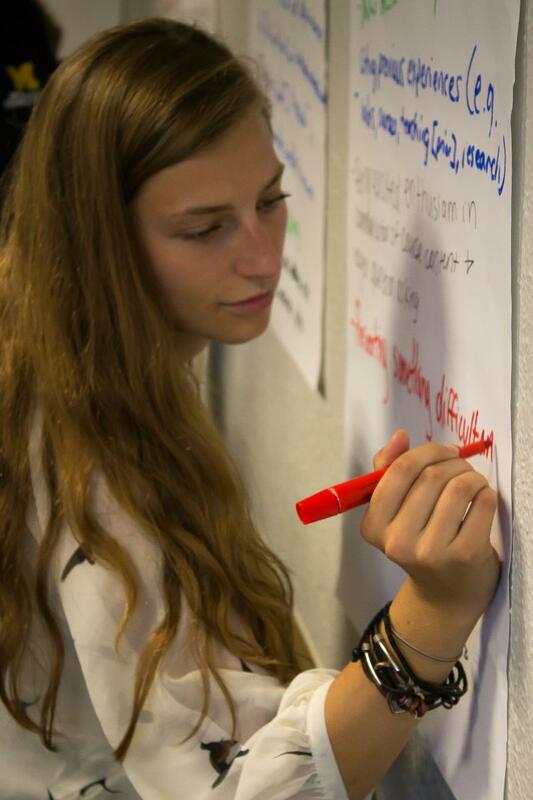 In a course focused on active learning, students are truly engaged in the learning process. They might be grappling with the course material by working collaboratively on problems. They are constantly processing what they are learning. Students may look at PowerPoint slides, but they are also discussing or debating questions posed by the instructor and are asked to critically analyze the information presented. They may search the Internet, but they are looking for data and resources to support their arguments. In some cases, they are exposed to an extensive amount of material outside of class so that most of the in-class time can be devoted to hands-on learning (see examples of First Exposure to Course Content). In fact, some courses are so active that an outside observer might not be able to immediately identify who the instructor is, as the instructor might be circulating and interacting with groups of working students. The benefits of active learning have been supported time and again in the literature. By comparing student learning gains in introductory physics courses, Richard Hake was able to show that interactive courses were over two times as effective in promoting conceptual understanding as compared to traditional ones (Hake, 1998). A more recent meta-analysis by Freeman et al. reported results from 225 studies across STEM disciplines, comparing traditional lecture to active learning (Freeman, 2014). In general, students’ average exam scores were shown to improve by around 6% in active learning classes. Additionally, students involved in traditional lecture were found to be 1.5 times more likely to fail as compared to those in classes with significant active learning. It takes time and creativity to effectively incorporate active learning strategies into teaching and achieve the full benefits across instructional settings and disciplines. But as many of the faculty members we profile demonstrate, active learning can easily and effectively be incorporated into existing courses and materials without the need for a dramatic overhauling of the course. resources for further exploration, including discipline-specific resources and the research that supports our conclusions about the efficacy of active learning. Reflect on your own teaching, explore our faculty examples, and plan to engage students in the learning process. 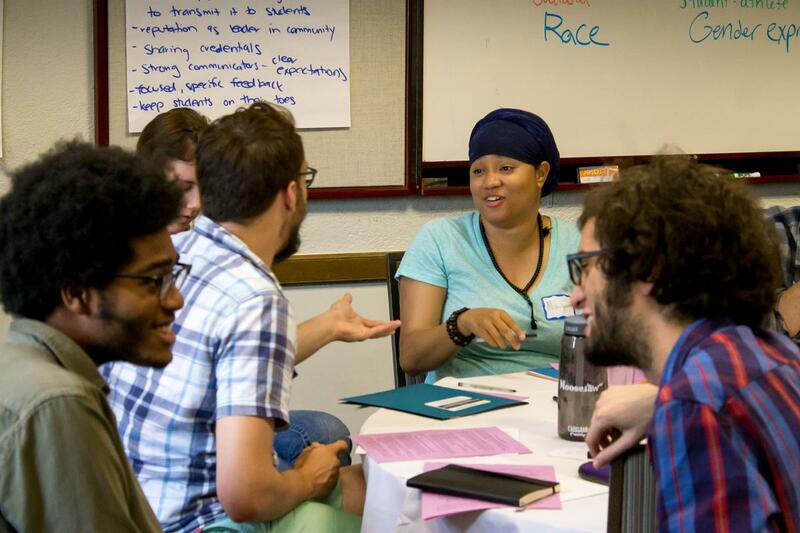 As always, CRLT has a variety of resources, from our blog to one-on-one consultations, to support you. How Can You Incorporate Active Learning Into Your Classroom? (pdf): This document provides a considerable list of strategies to foster active learning in the classroom. This document is useful for instructors looking for ways to boost students' engagement and understanding or for activities to build into a lesson plan.